We did it!!! All the hard work and long hours we’ve put into our robot and team since late August have paid off! 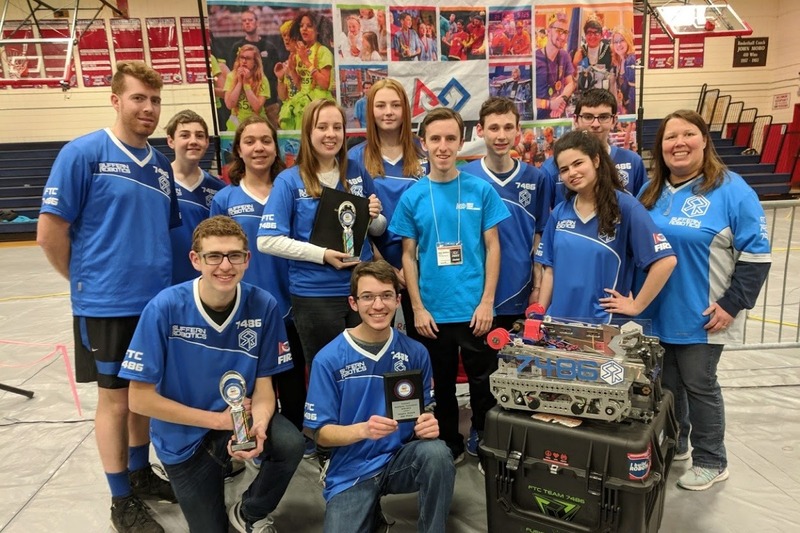 After coming in second place for the prestigious INSPIRE award given to best overall team and first place for the documentation-based THINK award at the Hudson Valley State Championships, Suffern Robotics has advanced to the FIRST Tech Challenge World Championships. After failing to qualify for worlds last year, our team has made an incredible comeback and now joins the 2% of FTC teams that will compete in the Championships. We will be competing in the FIRST Tech Challenge World Championship in Detroit, MI from April 24-28, 2019. The team has a lot to do to prepare as we go to represent New York’s Hudson Valley at this very prestigious competition comprised of 160 teams out of over 10,000 competitors from all around the world. Not only will the team have to work on improving their robot and team, but we will also need to raise the funds needed to cover travel expenses to Detroit, Michigan. Please help us get there! We very much appreciate your generous support to offset the expenses involved with transporting with our team and our robot to Detroit. Fundraising makes it possible for every student to participate in this experience. This is not only a great opportunity, but also a testament to our growing knowledge and application of technology and its capabilities. This season, we spent over 324 hours creating our robot in CAD, building our robot, and programming it. Additionally, we have put over 80 hours into reaching out to the local community through contacting engineering firms and educating the youth of Hudson Valley. Our work has paid off time and time again; Suffern Robotics has won 1st place Think awards at every competition they’ve attended for their robust documentation in their engineering notebook and two 2nd place Inspire awards for being an all around great FTC team. We can proudly say that each member of Suffern Robotics has contributed to our success and the skills we’ve all learned are invaluable. More information about the FIRST program is available on their website: www.firstinspires.org. The support from the community is critical and your generous donation will allow us to focus on preparing for the competition rather than on how we will get there. We are an approved 501(c)(3) Non-profit Organization and your donations are tax deductible. Learn more at www.suffernrobotics.org/donate.